So I thought I’d share with you all how I plot my books. Here’s the thing. With every book it is significantly different. But I have one method that I’ll do no matter what I’m writing. I utilize Susan Dennard’s “Magical Cookies” method right away. Now, her post says that magical cookies are a way to help when you have writer’s block. But I use them when I’m first planning out my story. First, I’ll lay out the main plot points of the story: beginning/establishing status quo, inciting incident, MC’s decision to take action, rising action, middle climax, all is lost moment, rallying moment, conclusion. Then I will put in any instances or plot details that I know have to happen in order to complete the external and internal conflict arcs as well as character arcs. Then it’s magical cookie time. I place in any scene or moment or character detail that I KNOW I want to include in the book. These are scenes that I am writing “toward.” It’s kind of like a video game, where there are set points that you want to get to. Those moments where you explain to your mom that you’ll do the dishes once you get to X point. That’s how I feel about these scattered magical cookies. I am writing until I can get to one of those beautiful, chocolate chip covered moments. (I like chocolate chip cookies best, I’m a traditionalist). What this achieves for me is shorter goals that I can get to instead of being overwhelmed by the idea of writing a WHOLE ENTIRE book. Instead, I just have to write until I get to the angsty almost kiss scene #1, or until I get to the epic battle scene. 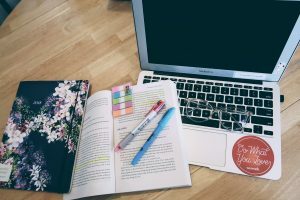 So, if you find that you’re having a hard time outlining but you don’t want to full-on pants, then maybe create magical cookie bullet points for yourself so you can write to a shorter and more attainable goal each time you sit down. « Wicked Fox cover reveal!